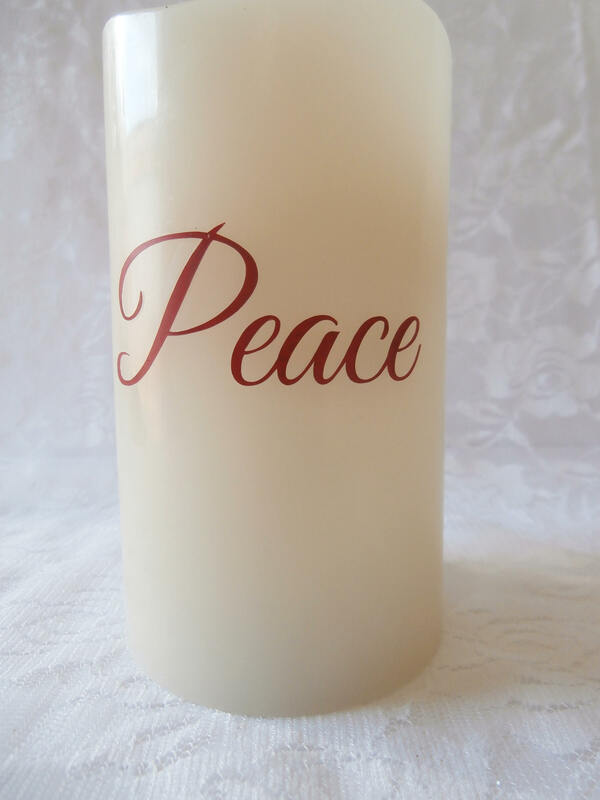 This Decorative Christian Candle is perfect for a gift or adding some Christmas Decoration to your room. 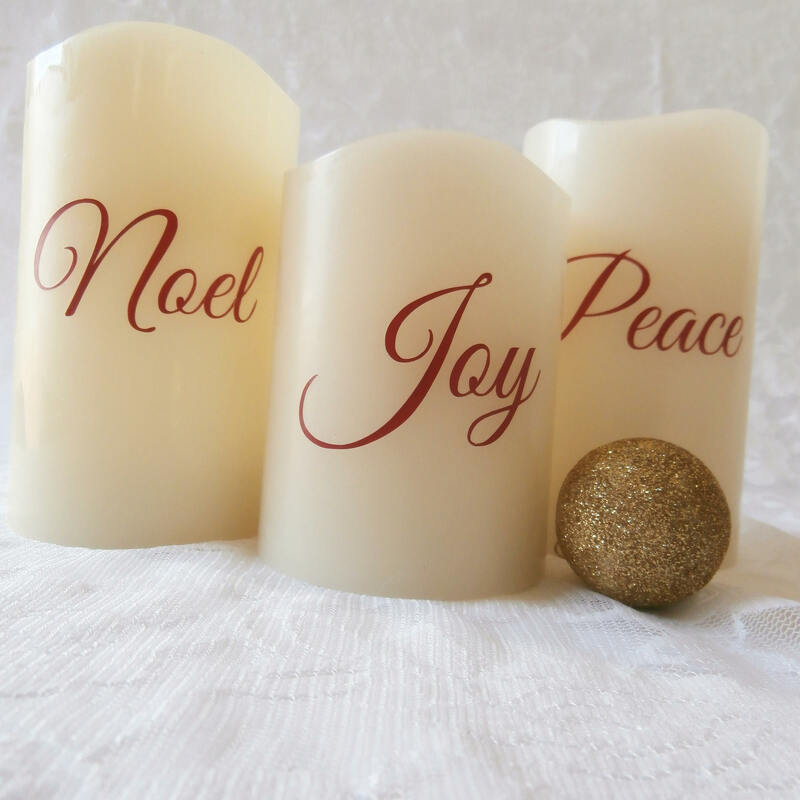 This is a set of 3 Flameless Wax Candles. 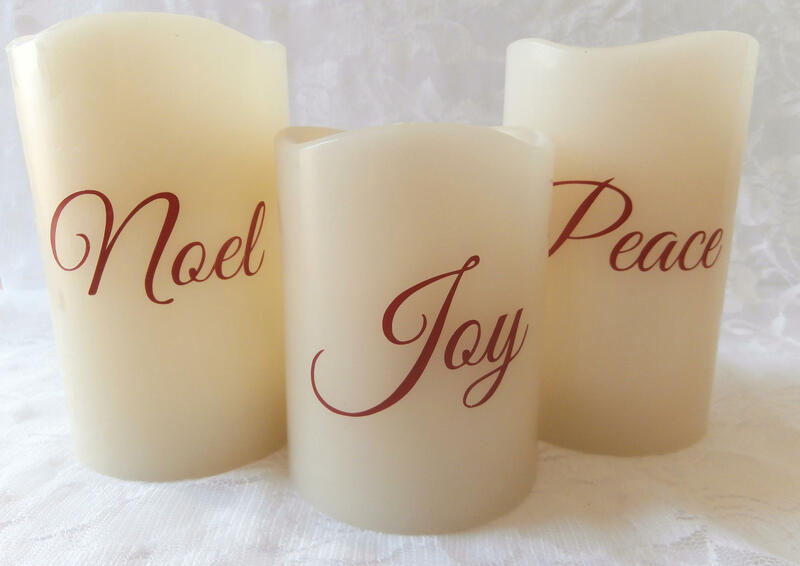 Each imprint is high quality permanent vinyl. 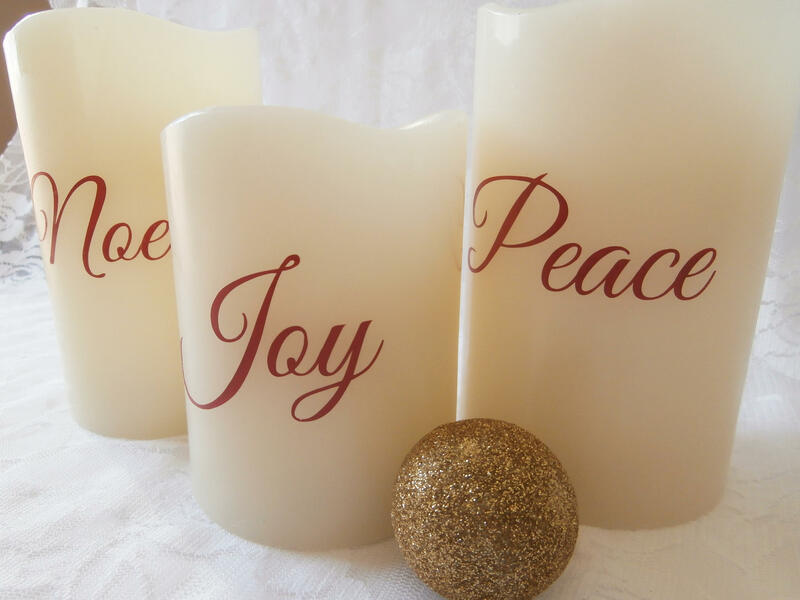 Color of imprint can be changed to fit your room. 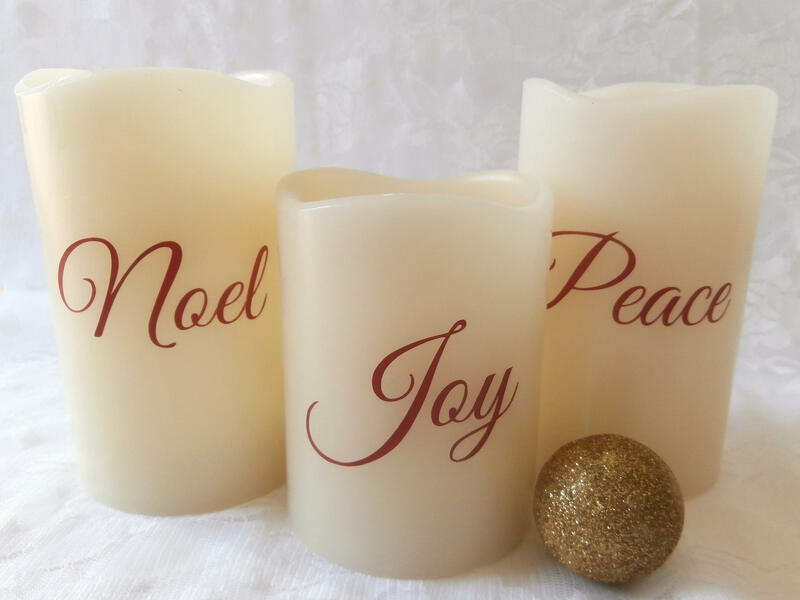 Flameless Decorative Candles allow your personality to show throughout your home or office, while spreading the gospel at the same time. 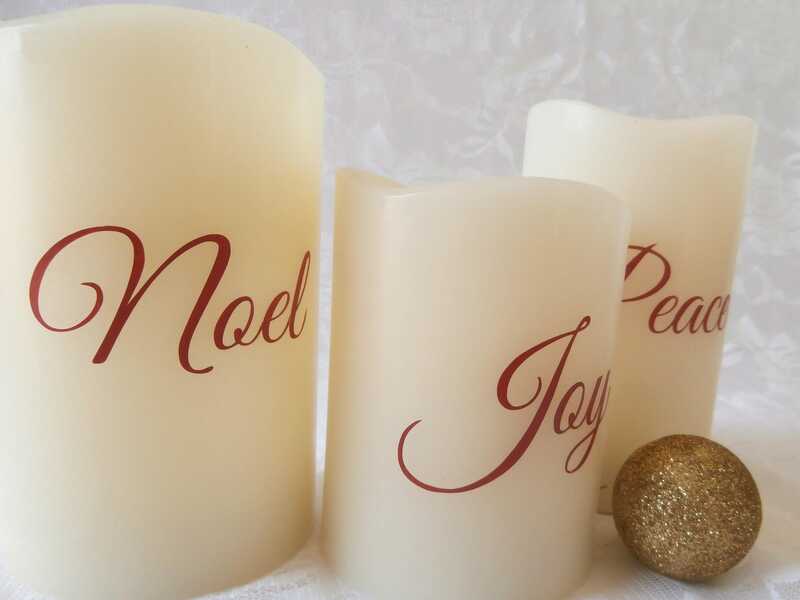 A beautiful decorative wax candle adds ambiance to a room and is a perfect Christmas gift. 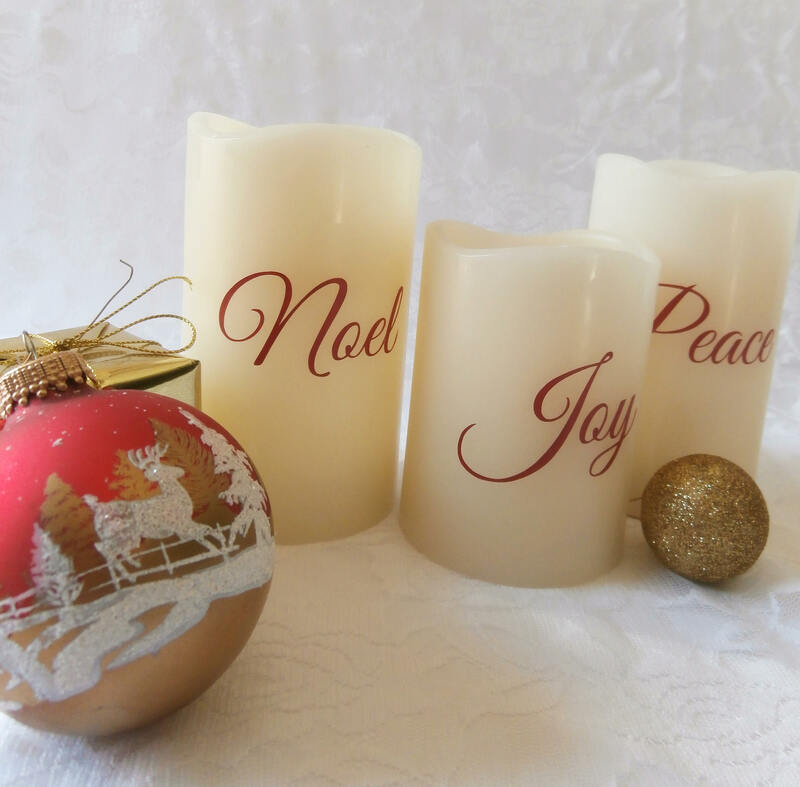 Flameless Candle is battery powered. If you would like to purchase one of these seperately from the set please contact me for a custom design.